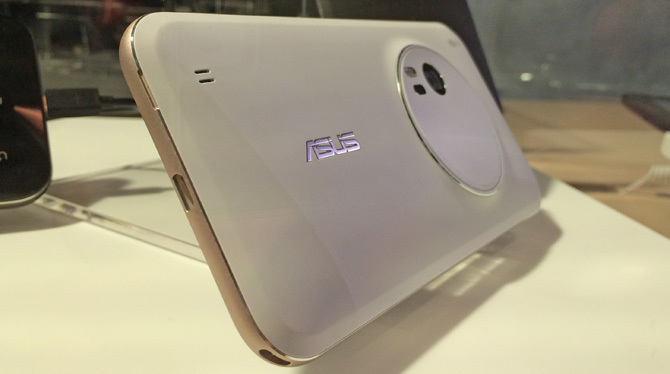 Last year at CES 2015 Asus announced a new smartphone that will “redefine your expectations of smartphone photography”. 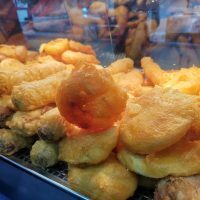 The ZenFone Zoom ran Android 5.X Lollipop and should offer some great photo capabilities. The closest the Coolsmartphone team came to it was the device in a glass display case, and it wasn’t powered on either. Today, after quite some time, Asus has finally announced that it can break free of the glass box. Available in the USA for $399, it has a 13-megapixel sensor, 10-element Hoya lens and the following additional specs. Las Vegas, USA (January 4, 2016) — Smartphones are rarely out of reach, making them the go-to cameras for most of the moments we want to capture. That’s why ASUS is especially excited to be showcasing the ZenFone Zoom during 2016 International CES® this week. ZenFone Zoom is the world’s thinnest 3x optical-zoom smartphone with an innovative10-element HOYA lens arrangement for sharp detailed images — it will redefine your expectations of smartphone photography. Zenfone Zoom channels the classic form of a traditional camera into an ultra-thin 5mm metallic unibody that features a burnished leather rear panel that contrasts beautifully with the metal frame. Craftsmanship meets precision engineering to create a smartphone that looks and feels as great as it performs. The ZenFone Zoom’s slender metal unibody houses a PixelMaster rear camera that pairs a high-resolution Panasonic SmartFSI® sensor with innovative optics. The 13MP sensor offers incredible detail that is automatically enhanced by DSLR-like optical image stabilization (OIS). A 3x optical-zoom by 28-84mm focal length greatly shortens the visible distance from where you stand to the object you wish to see. Capture clear images like never before and change the way you see the world. ZenFone Zoom’s innovative 10-element lens was created by HOYA, the Japanese optics experts. Together, we created an aspheric, molded-glass lens system, finished using a technique we call the “D-cut”— a world first. This is paired with dual high-precision stepper motors and arranged in an innovative periscopic arrangement to maximize incoming light and capture best possible photo quality — and allow 3x optical-zoom for close-up clarity as little as two inches away. You’ll never miss the action with the ZenFone Zoom’s laser auto-focus, which can point and shoot with complete clarity in just 0.03 seconds. Dedicated buttons for still shots, zoom, and video recording ensure the most important functions are available instantly for that perfect photo, without fumbling with software or unlock codes. With a wide variety of camera modes and a smart auto configuration, the ZenFone Zoom easily adapts to any style and setting. Exclusive to ASUS, the Super Resolution mode captures and combines four 13-megapixel photos to create a single image with an exceptional four times (4x) clarity. Light or dark, you’ll enjoy more detail and less noise — a super resolution equivalent up to 52 megapixels! There’s also a manual mode with exposure, ISO, white balance, and other options for experienced photographers. The camera is further enhanced by a dual-LED Real Tone flash whose natural illumination produces more lifelike colors and skin tones. A potent Intel® Quad-Core processor and fast connectivity let you quickly preview, edit, and share your photos or videos. The ZenFone Zoom is powered by an Intel® Atom™ Z3590 SoC with quad 64-bit cores built on energy-efficient 22-nm technology. Delivering excellent performance, Intel’s latest generation processor also ensures a very fluid and responsive interface experience. Thanks to 4GB of RAM, the ZenFone Zoom remains responsive even during heavy multitasking. You can effortlessly switch between photography, social media, web surfing, games, and other apps. The integrated LTE Category 4+ modem connects at speeds up to 250Mbps, which ensures quick throughput for sharing your photo or video memories. And it’s fully unlocked, so you can use the ZenFone Zoom with your preferred carrier. You can even add your own storage; the onboard Micro SD slot supports up to 128GB of additional flash capacity. Inspired by the latest DSLR cameras, the ZenFone Zoom’s textured finish offers a sure grip and premium feel with hand selected premium leather. There’s also an anchor loop with multiple strap options, so you can secure the smartphone to your wrist for confident shooting in any position. Photos come alive on the 5.5” IPS touchscreen, which displays vivid colors with wide viewing angles. The Full HD 1080p resolution offers a pixel density of 403 PPI, producing crisp images with sharp details. Corning® Gorilla® Glass 4 protects the screen’s surface from scratches and impacts, while ASUS TrueVivid technology fuses the cover-glass and touch-panel layers to put the user interface right under your fingertips. Powered by a high-capacity 3000mAh battery, the ZenFone Zoom can work and play from dawn to dusk—and beyond. It charges at warp speed, too, with BoostMaster technology that takes the battery from 0-60% capacity in under 40 minutes. ASUS ZenUI is a smartphone interface that features brilliant photo-friendly options to make the most of ZenFone Zoom’s 3x optical-zoom power. Take full control with the Camera app’s DSLR-like settings, then use PhotoCollage to build beautiful montages or MiniMovie to blend unforgettable personal movies. ZenCircle connects you to the online world where you’ll share your amazing memories, and the included 100GB of Google Drive Storage ensures you can snap, edit and share every 3x optical-zoom masterpiece. ZenUI features numerous applications designed to enhance your phone experience. ASUS organized it into five simple categories. ZenMotion provides intuitive control over your phone. Creative Studio offers easy management and presentation of your photographs. Personalization lets you style ZenFone Zoom just the way you like, with freedom to set to your own preferences. Modes lets you pick the best configuration for the different ways you use your ZenFone Zoom. And Safety & Security protects both you and your smartphone’s contents. The ZenFone Zoom 64GB is coming to the U.S. in early February for $399. It’s on display from January 5-8 at the CES 2016 ASUS Media Lounge in Las Vegas. Check in at myzen.asus.com for exciting product launch details that will be announced on January 20, 2016 and also for news, contests and information on other ASUS products.